Observed at Nairobi, Kenya, Africa. December 2012. Observed at South Nandi Forest, Kenya, Africa. April 2013. 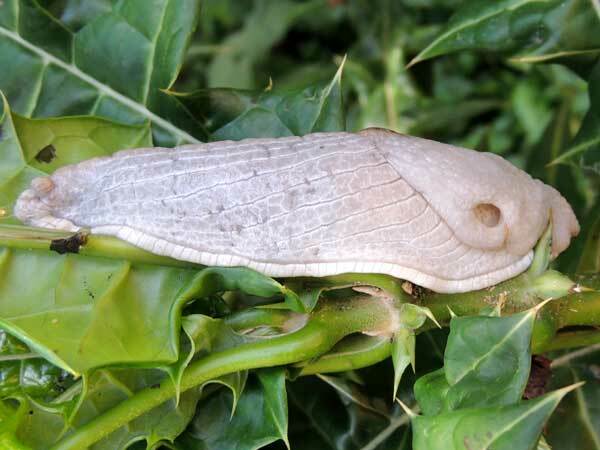 The slug is feeding on foliage of a very spiny Acanthus sp. 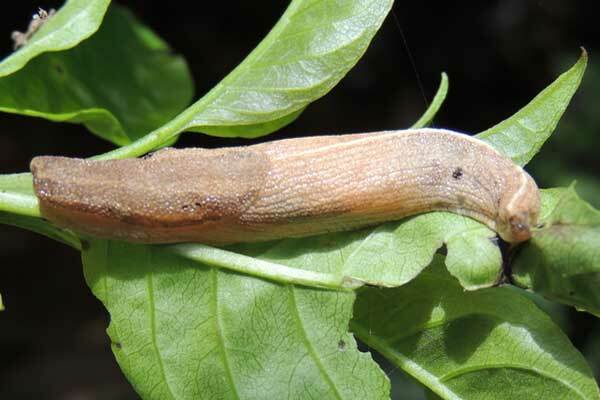 Large land snails lacking shells are known as slugs. Like snails they move along on a layer of mucus secreted by their 'stomach-foot'. This is the reason for the order name 'Gastropoda'. This restricts slug activity to times when the relative humidity is high. 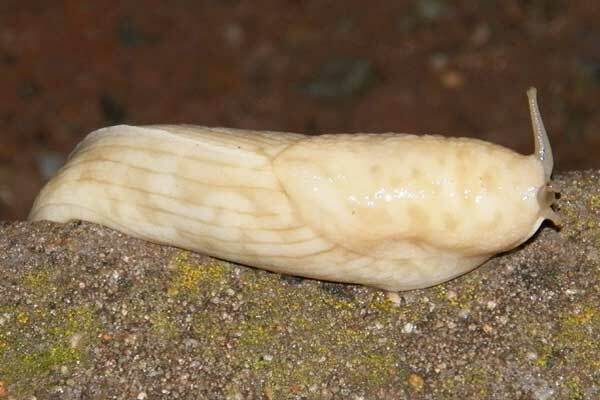 It moist cloud forests slugs and snails can forage by day, but in other environments they must come out of underground hiding only at night or during rain events. Observed at Kitale, Kenya, Africa. April 2013. I am uncertain if this is a separate species from the one shown at left.